Israel | Did you learn anything? [Video] Sudbury Jerusalem promo, now with English subtitles! I posted this video a while back, but now there’s a subtitled version. Definitely worth watching if you haven’t yet! I went out for a drink with a friend in a Tel-Aviv pub, and got into a discussion about democratic education and disadvantaged social groups. My friend works in a democratic school and is doing research on democratic education. She recently visited my school, Sudbury Jerusalem – her first real live encounter with a Sudbury school. We were at an outdoor bar on Tel-Aviv’s famous Rothschild Avenue, and it was the middle of the night. On tall wooden barstools, across a long and narrow wooden table, we sat drinking an Irish stout as she recounted her visit. My friend loved what she saw at Sudbury Jerusalem and saw in it a place that truly lives the ideals of democratic education. But she also raised a concern: that Sudbury schools are too unusual to attract many families from disadvantaged backgrounds. All I could do is nod sadly. Needless to say, Sudbury schools are open to people of all backgrounds. But Sudbury schools also completely reject traditional ideas of education – curricula, evaluation, adult guidance, etc. – approaching schooling from a radically different direction. It’s difficult for most people to understand, and seems to only attract few families from low-income backgrounds. Other democratic schools can answer, for instance, that “students have a mentor who helps them identify goals and follow through on them.” This calms a lot of people down. In the past few weeks, I packed up my belongings, got rid of a lot of them, and put much of them in storage. On Wednesday, I boarded a flight to Israel, with a suitcase bursting at the seams and a large backpack almost as full. I’m back in Israel now, and plan to be here for a while. I left Germany just as winter was starting in earnest, and arrived just as what is called “winter” here is starting – which has a lot in common with late summer or fall in Germany, and nothing at all with German winter. I’m thrilled to be back, and wondering how long the euphoria can last. I will finally resume posting in the coming days, and hope to be able to share with you some interesting thoughts and experiences. If there’s something in particular you’d like to hear my take on, don’t hesitate to leave a comment! I do not have a positive vision as to what should be here, in terms of political “solutions,” arrangements, et cetera. I do, however, have a very strong sense of what should not be here (for a more detailed list, see: Rothman, Blog About Things That He Thinks Should Not Be, Everyday, All Pages, www.thelefternwall.com). Here’s a metaphor I made up for this friend: let’s say Israel is a garden. There are some people who will try and plant flowers of solutions, of development, of progress here in this garden, and I think that is a good thing and I support them. However, I see my role not as planting flowers, but rather as weeding, weeding out violence, weeding out racism, weeding out oppression, weeding out hatred, et cetera. The weeds here have grown quite powerful, and probably by the fault of no single gardener or even group of gardeners but rather by the breezes, rainfalls, insects and chemicals of history and political circumstance. Someone needs to take them out so that there will be room for others to plant the flowers. If you try to plant a flower of “solution” in a garden overrun with weeds of violence or racism, the flower won’t have much of a chance to grow. I will indeed make a list of things I really like. Which is fun for me too. 1. The people. In general I really like Israeli people, even if I disagree with many of them re: politics/Palestine. I like their directness, I like their humor, I like their warmth, I like the diversity of history and of journey and of identity and of belief, I like the way we all share a sort of nutsness, especially Jerusalemites. I love the garden metaphor, and I also love most of the things on Moriel’s list. Many of them really capture why I miss Israel and care so much about what goes on there. This post, like many on Moriel’s blog, is well worth reading. Meta note: the lack of posts lately was mainly because of some drama I had, which I won’t get into here. The important thing is that everything’s fine now, even better than fine, and once I’ve finished catching up on some things, I expect to be posting again, for real. Desmond Tutu writes a passionate call for American divestment in Israel. He gives me some food for thought on BDS (Boycott, Divestment, Sanctions), and on my role as an Israeli in the struggle for a just peace. A quarter-century ago I barnstormed around the United States encouraging Americans, particularly students, to press for divestment from South Africa. Today, regrettably, the time has come for similar action to force an end to Israel’s long-standing occupation of Palestinian territory and refusal to extend equal rights to Palestinian citizens who suffer from some 35 discriminatory laws. I have reached this conclusion slowly and painfully. I am aware that many of our Jewish brothers and sisters who were so instrumental in the fight against South African apartheid are not yet ready to reckon with the apartheid nature of Israel and its current government. And I am enormously concerned that raising this issue will cause heartache to some in the Jewish community with whom I have worked closely and successfully for decades. But I cannot ignore the Palestinian suffering I have witnessed, nor the voices of those courageous Jews troubled by Israel’s discriminatory course. I’m not entirely sure what I think about the Palestinian BDS campaign. The national liberation movement’s time came and went. Now we have a state. Neither good citizenship nor misdeeds have anything to do with Zionism anymore. Zionism’s way has been lost to us. That was inevitable, because it has completed its task. Once the State of Israel arose and became a national home nearly at the retirement age of the movement that engendered it, once it became established, strong and powerful, and brutal and impervious, its flag should have been folded, stored in the repositories of history as a souvenir, and Zionism should no longer have its name taken in vain. The old order of Zionism is over and the campaign over the character and appearance of the state should begin, as happens in every healthy state. Accusing the other side in a debate of a hidden agenda never gets us anywhere. So let’s just not. In the Israel/Palestine debate, there’s a trap that both sides fall into, repeatedly – and I’m no exception – which makes it more of a mud-slinging event than a discussion. In a nutshell, the trap is claiming the other side has a hidden agenda. Germans are entitled to opinions and to the choice of whether or not to voice them. We should welcome it when they do – even regarding Israel. 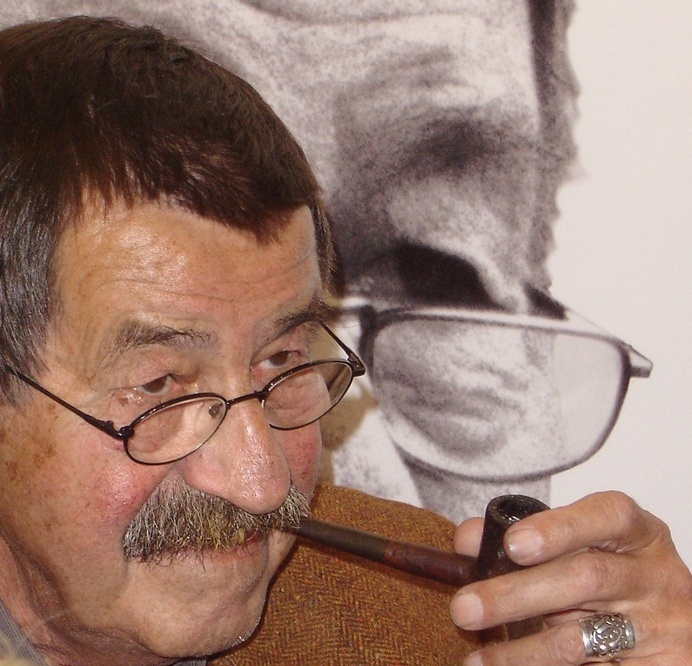 This post is about the Günter Grass poem “What must be said”. If you haven’t read the poem yet, please do so before reading the rest of this post (German/English/Hebrew). Three hundred translators watched transfixed as an assortment of colleagues, speaking from their isolated studies across the globe in their respective languages, faced the camera and opened a narrative vein: out poured their stories of how they got interested in the Hebrew language, the years they spent cultivating their peculiar passion, the emotional relationships they maintained with the dead and living authors with whom they spent their waking hours, the daily warfare they waged against the Hebrew language’s obstinate refusal to fit its rhythms and archeological layers to the structural and cultural molds of their far-flung nations.